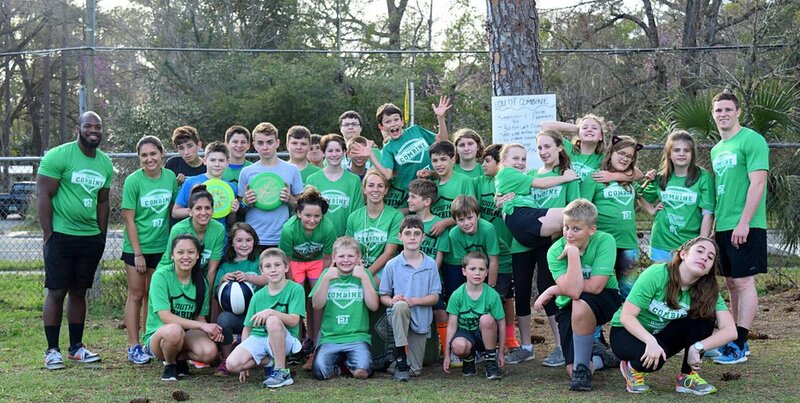 Our staff is comprised almost entirely of Applied Physiology and Kinesiology (APK), Family, Youth, and Community Sciences (FYCS), and Health Education and Behavior (HEB) students from the University of Florida. Youth Combine provides volunteer and internship positions for all college semesters offering valuable experience in health education, fitness/wellness, and youth and community sciences. We request that college volunteers make a minimum once per week commitment to volunteering on a set schedule for an entire semester. We are accommodating in our schedules and it is not a big deal if you miss a day or two, but the commitment is important for the stability of the program. Volunteers will receive our program shirt and are required to wear it to every session. We require college students to volunteer with our organization at least one semester before participating in our internship/practicum. Interested internship applicants should apply to volunteer at least one semester in advance of their desired internship semester. Our organization offers the opportunity to apply your knowledge by designing nutrition and fitness programs and experience with working with families, public relations, marketing, and event management if desired. Our program is a lot of fun for youth but also very challenging. Working with kids and helping to motivate and push them through the workouts can be very rewarding. Since our organization’s inception in 2012, we have happily hosted over 300 college volunteers from the University of Florida. Many volunteers return each semester, leaving only 10-15 openings per semester. If you would like to volunteer, please plan ahead and apply early. We have around 30 volunteer coach positions each semester and they fill up fast. Most volunteers return each semester and receive preference in scheduling. We recommend applying for a volunteer coaching position at least one semester in advance of the semester you wish to volunteer. We average 30+ new applications each semester but can only accept around ten new coaches per semester. Please plan ahead and apply early.